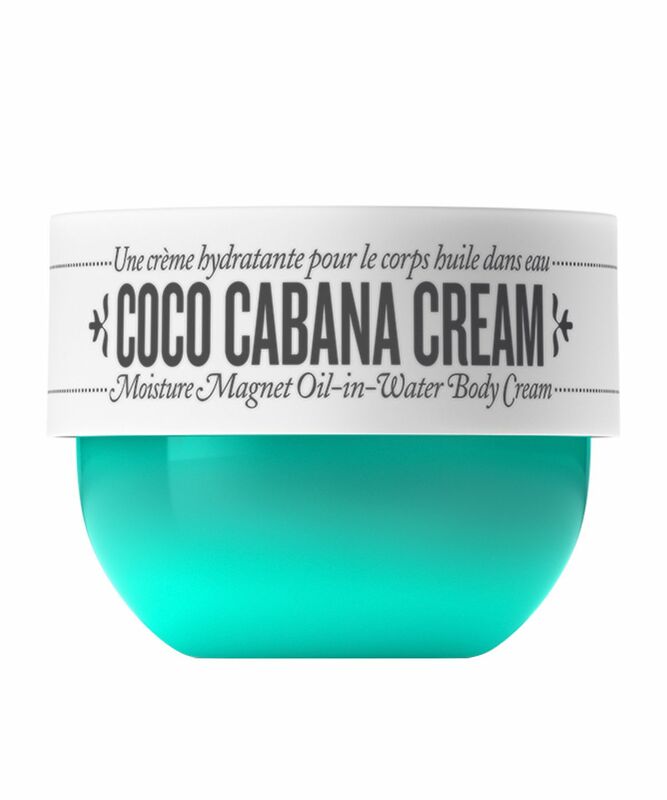 Having already bewitched the beauty world with the best-smelling, skin-firming Brazilian Bum Bum Cream, Sol de Janeiro’s newest formulation – Coco Cabana Cream – is another dream come true for your body care regime. Calling the cream its ‘most moisturising body cream ever’ Sol de Janeiro promises 72 hours of hydration from just one application of this miracle formula. 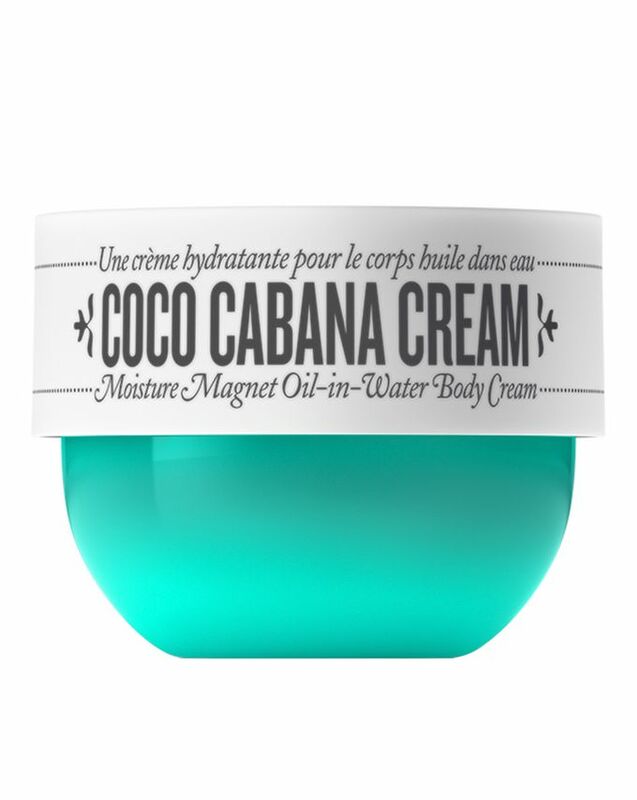 Remarkably light, this moisture magnet stars coconut oil and fermented sugar (which draws in moisture from the air) and an irresistible caramel and coconut scent. Apply generously to the body with love. The more often you use, the deeper the benefits, and the longer lasting the hydration. I love this cream. Sinks in well and hydrates my skin. Personally I like the scent but it might not be for everybody- very sweet! It smells delicious and it is absorbed very fast. The lovely aroma persists so many hours after applying the cream. I rated 4 stars because even though it is amazing the Bum Bum Cream from the same brand is my favorite. So I used this for the second time and immediately after I felt a really strong burning sensation all over and I can see tiny bumps on my skin. Sadly it's a no from me. This cream smells absolutely gorgeous. So sweet and strong. I expected nothing less from this summer-loving brand. To me, it smells like the sweetest coconut milk you ever could smell mixed with melted brown sugar. The texture is much lighter and water based than the Bum Bum cream so it goes further. The product absorbs straight into the skin, leaving it hydrated. I really love that it made my skin feel cool to touch too, which will be perfect when the weather warms up. Another fantastic product Sol de Janeiro. Can’t wait to see what comes next! This is lightweight, but super moisturising and smells insanely good! The scent really lasts too. I can apply it in the morning and still smell it on my skin in the evening. It has also sorted out my Winter-ravaged scaly elbows in a couple of applications. An absolute wonder product that I will definitely be reordering! I’ve been using this and alternating with a regular body lotion and I’m loving the results! The smell you ask??? I could eat it!! On hearing favourable reports from both friends and the beauty press about this product. I was keen to try this new product, as I'm always keen to try anything to improve my skin texture. However I am quite disappointed on several levels my skin shows no improved sheen texture or overall quality. I will continue to use the remainder of the small pot but will not order the larger size as previously planned. I love the Sol De Janeiro range. The body creams are divine. I was excited about this new release and have been waiting for ages for it to arrive on Cult. I'm not 100% on this cream yet, It's a gel-based cream which is different to the others in the range and because of this is can be a little tacky. It does feel like it takes a while to sink into your skin which is the opposite of the other creams that sink in instantly. This loses a star because of this, I do wish the consistency was the same. However, the smell in itself gets this cream a 4-star review! It's absolutely heavenly! It's like a toasted coconut smell and it lingers on your body and in the room all day long! I can't wait for them to bring out a fragrance because it is one of the nicest smelling creams I have used in a long time. All in my skin does feel incredibly moisturised and soft. Super hydrating! Gets absorbed much quicker than the Bum Bum cream! Smells like coconut!